Have you ever wondered what to get somebody for their birthday? Maybe it's somebody who has just about everything they could ever want or need, or somebody that you just don't know what they would want? Well I've been trying to put something together for my Aunt's birthday for a while and I've been totally lost. In the end the only thing I could think of was a voucher for her to go and buy whatever she wants. Even though some people do like receiving gift vouchers, to me it just seems like that person couldn't be bothered to think of something I would like. I think I've got to that point in life where the thoughtful gifts mean the most to me now. I would much rather a picture my niece has drawn for me over a pair of shoes, or a gift voucher. Some may think i'm crazy but it's just me. After feeling like I was hitting a brick wall with every idea I came up with for her gift, I finally decided I would put something together that I know she would like. Every woman likes candles and things that smell nice so I took a look at her living room and made something for her that would fit right in. She has decorated it in creams and golds, so I set out on a little shopping spree and picked up some items that reminded me of her, and would go with the theme. This is what I created for her. Here's a break down of the items I used. You will be surprised when I tell you how much it actually cost me. It was well within budget and now I will also be buying her a nice bottle of wine to go with it too. All together this beautiful gift only cost me £21.42. I personally think it's a bargain and it smells delicious! 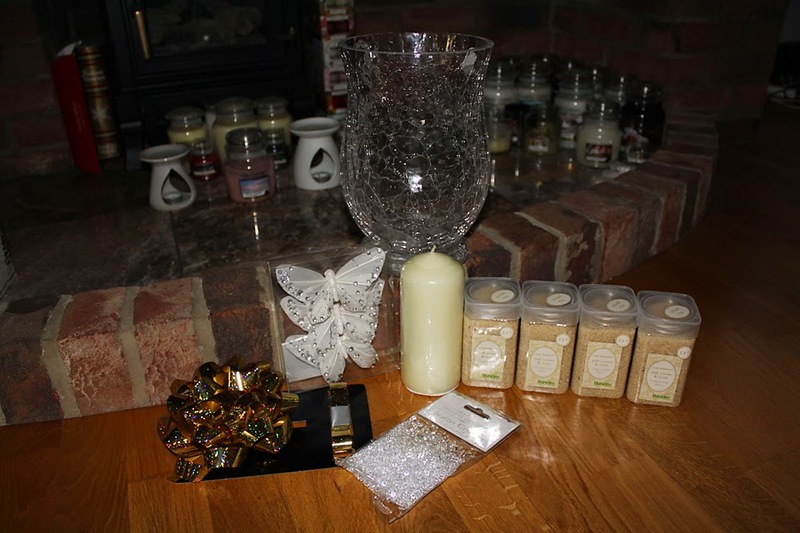 It was really easy to put together, simply take your hurricane vase, pour in 2 of the tubs of fragrance sand. 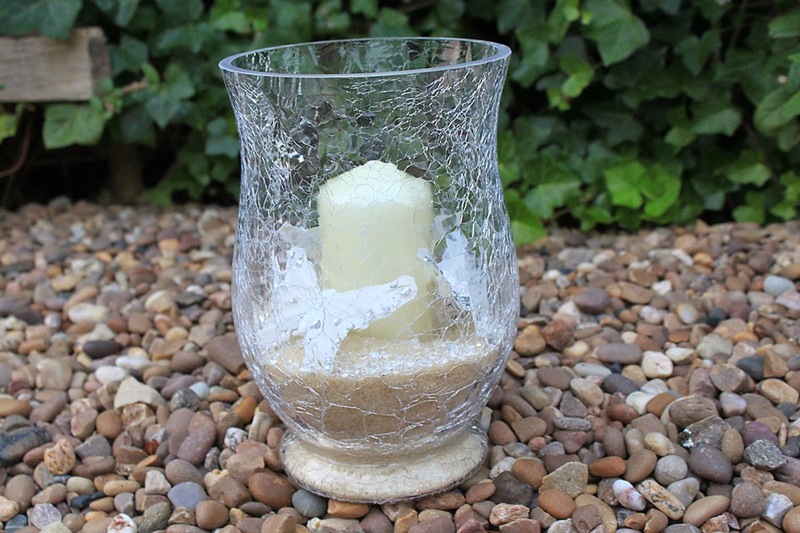 Place the candle in the middle and push down until it's holding itself in place itself. Then add another pot of sand and pour around the sides. 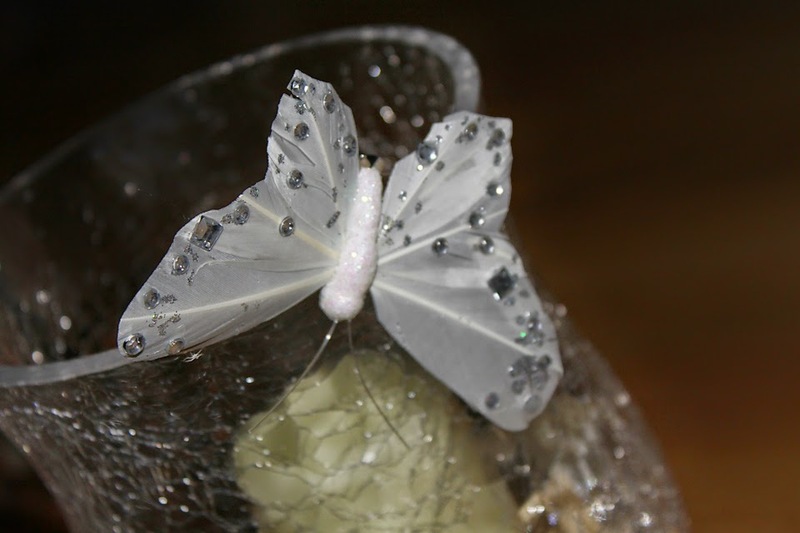 Sprinkle the top with diamantes and then place in your butterflies. 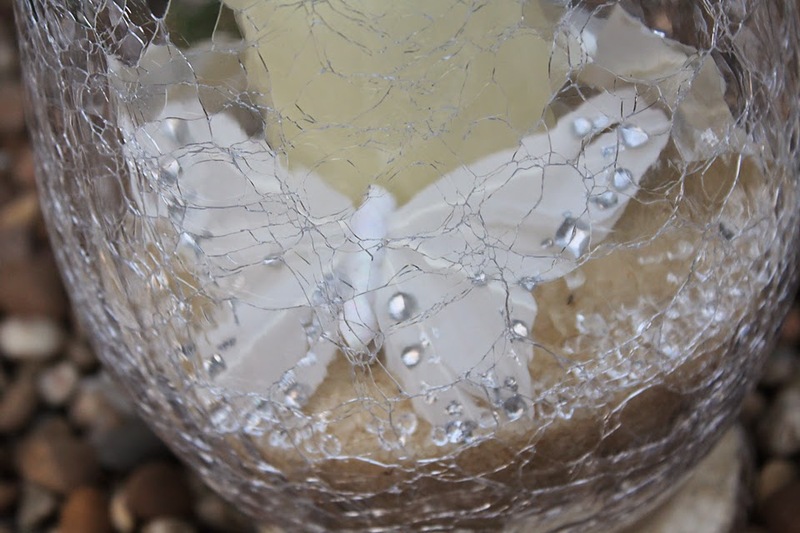 You could clip the butterflies onto the side of the jar, or place inside. Just warn the gift receiver to be careful burning the candle as i'm not too sure the butterflies would survive long and this could of course be a fire hazard. I hope this helps you if you're trying to think of a special gift for a friend or family member. Whether for a birthday or Christmas gift, something personal like this is so easy to do and will mean a lot more than a gift voucher to show somebody that you couldn't be bothered shopping for them!